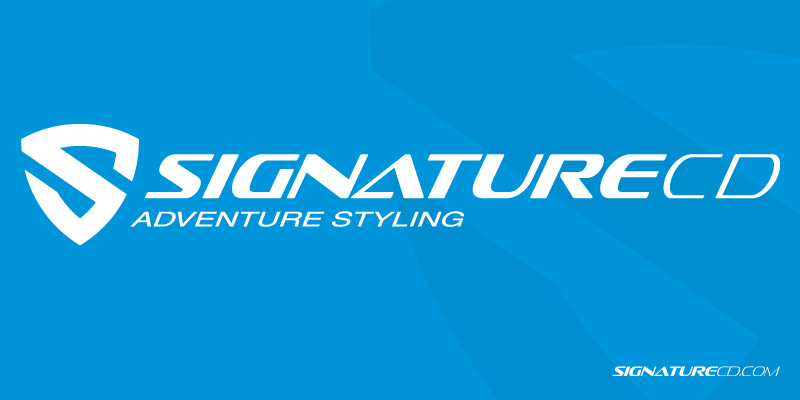 SignatureCD is proud to introduce its new identity in the motorcycle adventure community with a strong and recognisable brand. The new identity is different, dynamic, fresh and above all, It’s a statement for the future! Our new Identity was created with a promise of always delivering the best products on the motorcycle adventure community with a unique creative process and respect towards our customers. Shield – A promise that SignatureCD will always provide its customers with the very best products. Nib Pen – The creative process on the adventure motorcycle styling. Letter “S” – The letter “S” represents Strength, Simplicity and Status. Light Blue Color – Light Blue color is associated with freedom, imagination, expansiveness and inspiration. It also represents meanings of trust, loyalty, sincerity, confidence, stability and intelligence.